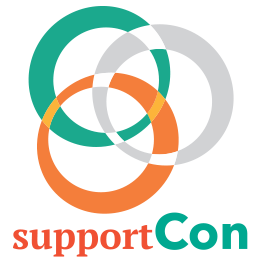 SupportCon - Springfield Home Page | Register Now! In this dynamic and interactive session you’ll discover five biases that may be keeping you from making the best decisions – as well as practical techniques that will allow you to overcome these biases. You’ll also learn a valuable methodology to quickly analyze and evaluate information in order to make the best possible decision for you, your team, and your organization. Kristin Arnold, PEI, professional facilitator and award winning author. Learn what documents should (and should not) be placed in employees’ personnel files and how to respond to requests for personnel files from employees and third parties. Planning for open meetings requires knowledge of how the Open Meetings Act and the School Code intersect. Learn how these laws affect your work in assisting school officials to prepare agendas and successfully engage in committee work, remote participation, public participation, minute drafting, verbatim recordings and more. The US Government has funds for your district. Learn how to stay compliant, maximize your revenue and educate your staff in best practices. Kathy Gavin​​, Dir./Fiscal Services, Niles Twp. Dept. of Special Ed. Julie Jilek​​, Assistant Superintendent, CSBO, Northwest Suburban Spec. Ed. Org. Have you been charged with keeping the board policy manual in order? This can be a daunting task, and whether you aren’t sure where to begin or just need a refresher, this panel will demonstrate efficient processes, including accessing suggested PRESS updates, preparing the necessary materials for the board packet, updating the district’s copy of themanual, and archiving past versions. We will also cover questions relating to PRESS footnotes, and the differences between policies, administrative procedures and exhibits. Attendees will learn the ABC's of how to report a claim, how to avoid the pitfalls of not reporting a claim on time and what you need to do to complete an accident investigation form. Byron Given, Account Executive, Arthur J. Gallagher & Co.
Ryan Doyle, Area Assistant Vice President, Arthur J. Gallagher & Co.
Google Docs and the G Suite were first made available to schools 12 years ago, and many of us are still trying to figure out if these tools can help us with our 'real' work. This session will showcase how a large high school district updated its practices, and transformed how it does business with the help of Google's collaborative tools. Learn how support staff members transitioned from Microsoft Excel and Word to Google Docs and Sheets in preparing Board of Education correspondence, financial dashboards, internal forms and procedural documents, and even the annual tax levy! This workshop will increase your “diversity and inclusion” awareness through engaging and interactive exercises. At the conclusion of the workshop, participants will understand the importance of diversity and inclusion training, broaden the scope of diversity beyond race and gender issues, reveal and assess the impact of subtle biases and discuss the behaviors required to create an inclusive environment where every man, woman and child feels included, valued and respected. Leave the workshop with tools to manage your own personal biases in order to have more effective work relationships, create inclusion and become better leaders.